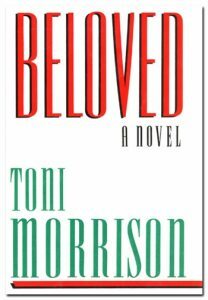 Beloved, by American writer Toni Morrison, was inspired by the story of an African-American slave who escaped slavery in Kentucky after she fled to Cincinnati, Ohio. Garner later killed one of her own children to prevent them from being returned to slavery. Garner’s story was originally entitled “A Visit to the Slave Mother who Killed Her Child” and was published in 1856 in a journal called The American Baptist. Morrison discovered the tale and reproduced it in a volume called The Black Book which she edited. This is a collection of black history and culture in America. The novel is set in 1873, just after the Civil War, in Cincinnati, Ohio. Here we meet Baby Suggs, a character who embodies wisdom and community even as she struggles with her own lasting wounds, both psychological and physical, from slavery. We also meet the protagonist, Sethe. Sethe is a former slave who now resides with Baby Suggs. The memories of her life as a slave and the horrors she endures after her escape are awoken after a person from her past, Paul D, finds her. The novel is told through memories and through a series of events in the present. In this way, Morrison’s novel interrogates the very process of story-telling and our ideas of personal identity as our sense of self is derived from the stories we tell of our lives. The novel also treats the problem of haunting. We are faced with the haunting memories of the past, memories which are too harrowing to recall. We are also confronted with what may be evidence of actual ghosts. The figures of ghosts in the novel as compelled some critics to see features of magical realism in which supernatural events take place alongside realistic events in was appear perfectly reasonable in the context of the book. Most importantly, Morrison’s Beloved offers a realistic and brutal portrayal of slavery. The dehumanizing and brutal practices of American slavery are shown in all of their violence and horror. What is more, the lasting impact of slavery on people, long after they have escaped the physical chains of slavery, plagues them for their entire lives. We get and unflinching portrayal of the grotesque reality of slavery as it was practiced in the United States.